In my experience most businesses in North America undervalue the power of local search. There are approximately 30 million small businesses in the United States and Canada. In Canada, small businesses account for over 98% of all businesses.
. 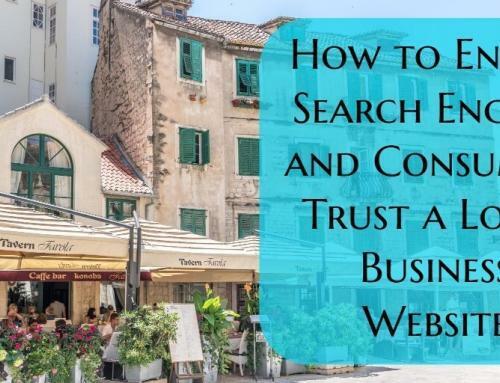 If those 78% of searches aren't finding you, that could be the death knell to your business, especially if those searches are finding your competitors. So how do you make yourself visible to local searchers? 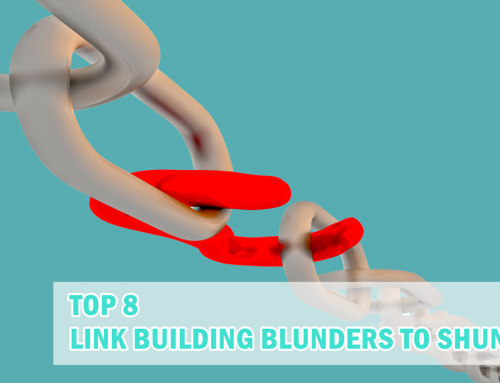 One of the most powerful ranking signals is the quality of the links that point back to your website. 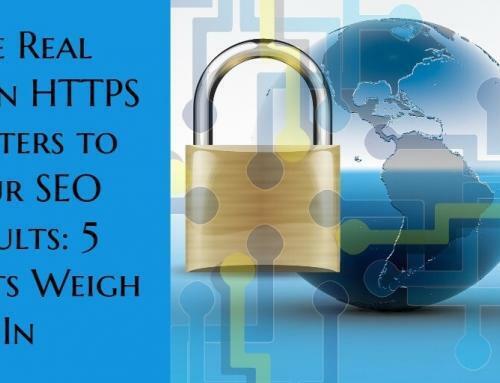 The more authoritative local websites linking to you, the more likely you are to rank. So now you're probably wondering how you build/earn local links. Just like all link building, it requires sweat plus creativity. 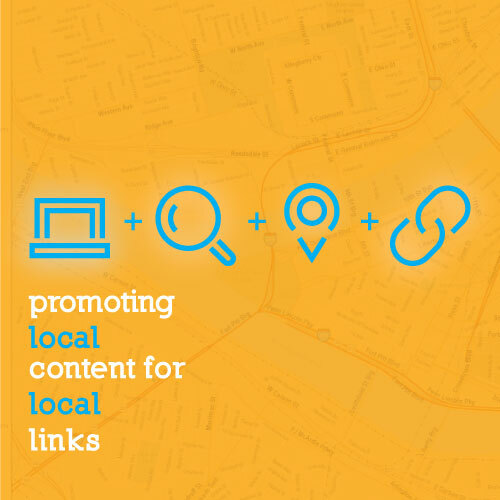 One of the most straightforward tactics to build local links is to create content tailored to your locality and then promote it within your community. Now to be clear, you can build links without content, but content definitely makes a link builders life easier. Here are some examples of local content that earned great local links. Since 2011, Moz has hosted the digital marketing expo MozCon on a yearly basis in their hometown of Seattle, and every year it seems to grow in popularity. There are several reasons its such a draw, including the educational experience and the chance to network. It also doesn't hurt that Seattle is a tourist attraction in and of itself. An estimated 10 million tourists come every year to check out the Pike Place Market alone. On top of that, there's the Space Needle and the Museum of Flight. there's even more on top of that, and I know that now thanks to this handy guide compiled byMoz founder Rand Fishkin. People come from a myriad of latitudes and longitudes to be at MozCon, and even though there is food provided at the conference, some travelers may want to instead check out the Seattle culinary culture. The city is indeed frequently ranked highly as one of the best cities for foodies in America. This guide points hungry travelers in the right direction. Not only that, but Fishkin and crew have opened themselves up to link opportunities in their city. By linking to (most) of the restaurants/pubs on the list, Moz has exhibited social proof/recommendations to their visitors. Now in this instance, Moz decided to link to every restaurant's Urban Spoon page, rather than every individual restaurants domain. 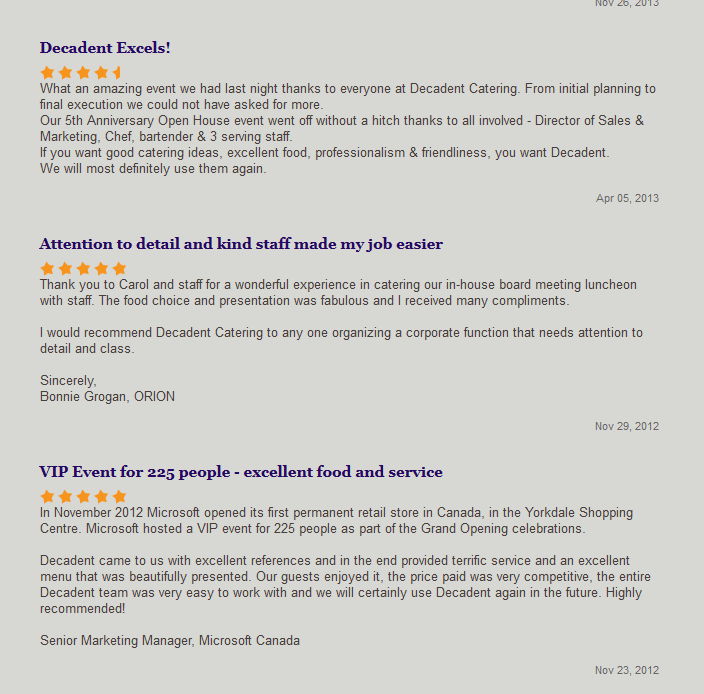 I would recommend linking to the restaurant sites if applicable. Either way, once said list is compiled, its best to make an outreach list of all the restaurants/pubs. 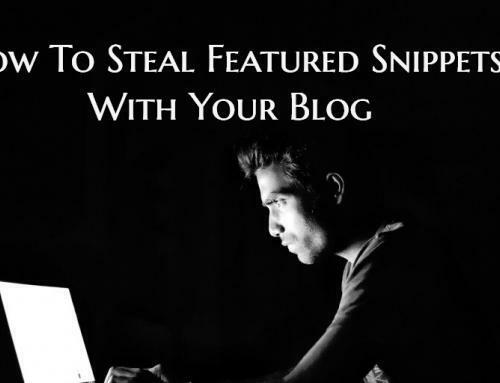 Alert them via email or social media that you have featured them on your list. 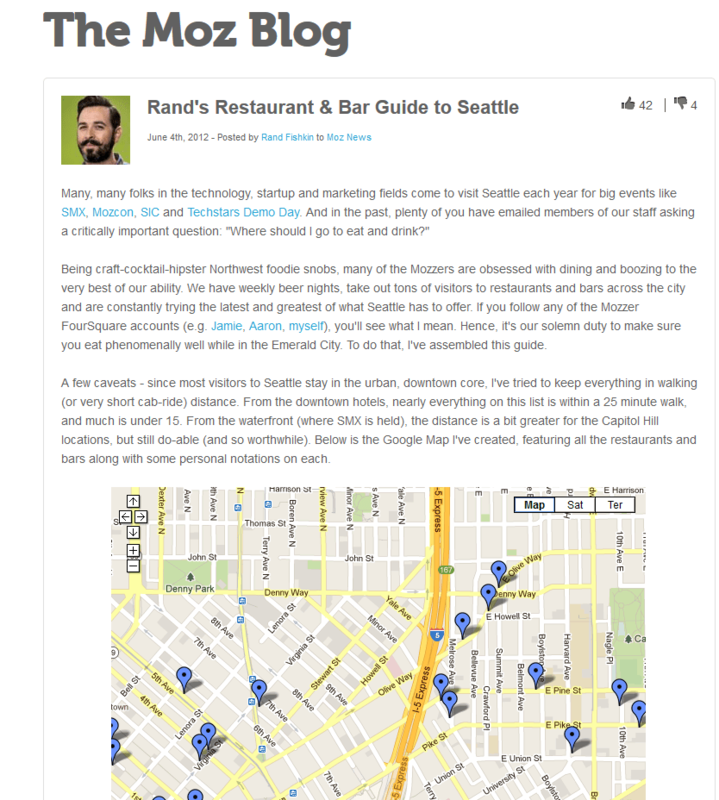 Not only could Moz alert all of the restaurants in an instance like this, it would be astute on their part to email any Seattle resource page. A resource page, particularly one devoted to tourism, looks to assemble a list of things to do within the community. Rand has done the work for them. Hard work? Sure, but that's precisely the point. As I've said before, you're not going to get the links if you don't put in the work. The chances are that there are few resources as expansive as this in your local market. If you are the one to do the work, its highly likely that other sites in your area will link to you. 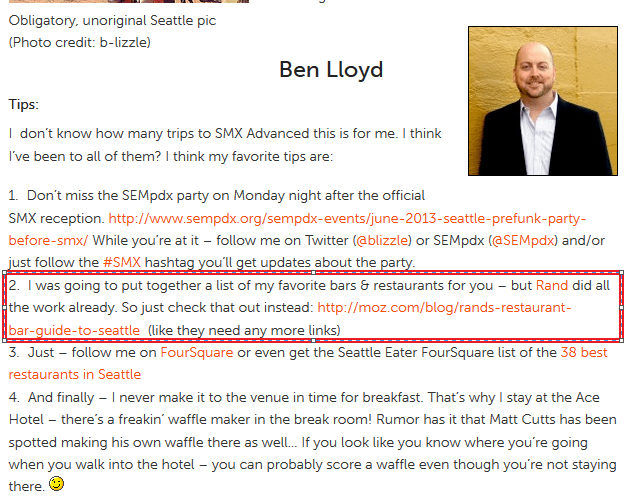 Take for example, this Seattle agency that was anticipating they would have colleagues come into Seattle for MozCon. It's really nice to live in a community with an enormous sense of hometown pride: I'm lucky enough to have firsthand experience Here's in Boise. there's no reason you can't write about why your community is so awesome. In fact, that's what Jess Flynn, CEO of the PR firm Red Sky, did last summer. She contributed a piece to The Huffington Posts Love Letters series about all the glories of my hometown. This isn't the only way Red Sky expresses their love for the community though. They operate a blog that highlights local events. In an August entry, they highlighted a screening of the Mel Brooks laugher Spaceballs. As a result, Boise Classic Movies--the host of the screening--linked to the Red Sky blog. Neither BCM or the host theater The Egyptian are clients of Red Sky according to their client page. In this instance, it's possible that BCM was made aware of the mention because Red Sky linked to them and BCM has a web alert setup for their brand. If that wasn't the case, what Red Sky would do is email the BCM and anyone else they mentioned in their blog. Not only could they alert the brands and events they mentioned, they might find community forums to post in. It's anopportunity to reach out to potentially influential people in the community who could link to Red Sky's blog of all things Boise. Of course, not all of this kind of content has to be hosted on your site. It's not uncommon for business websites to advertise who their happiest clients are. We do it on the homepage for my agency even. Its good marketing. It's also a good link opportunity. Not only should you host your own page devoted to your happiest clients (if applicable), pay it forward and express your enthusiasm for the local businesses that help to keep your lights on. Where do you get your office supplies? When appliances in your break room are malfunctioning, who do you call? Who catered your Christmas party? Notice how the last two sign off with a brand name. Businesses typically employ local caterers for large events. there's no reason you can't do the same when you submit your testimonial. But notice how the brand names aren't linked. I find that peculiar. This is when a simple email on your part is required. As always, thank them for the tremendous value they provided or continue to provide your business. 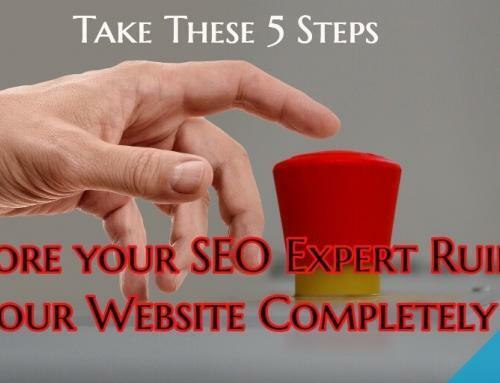 And then, ask if they wouldn't mind linking back to your website. It's perfectly natural. If they are proud enough to highlight your endorsement, they should be proud enough to show their visitors who's endorsing them, right? If you want powerful local links to point back to your site, you have to do the work. You have to do the work in the ideation phase. You have to do the work in the creation phase. And most importantly, you have to do the work in the promotional phase. Modern link building is another form of promotion. When you create content, local searchers aren't going to find it just because its awesome. You have to build the a digital road of links that will point local customers your way. That comes with interacting with your community. When people engage with your content, engage with them. If there's anyone who would have a vested interested in promoting your piece, promote it to them. Great content is undoubtedly a start, but you have to take the right promotional steps to ensureinfluential community members see it. that's local link building. Jon Ball is the CEO of Page One Power in Boise, ID. P1P is a link building firm that focuses on relevancy, transparency and specialization. Jon is also an avid mountain biker and photographer. What is your opinion on an area based web site? Sounds a bit weird, but what if in a city you had a page for each suburb? From there you listed the services or products you sold? I mention this as area or location is one of the key factors in all google searches. For example if you are looking for somewhere to have dinner in downtown Seattle, and you enter restaurants, well there are a lot of restaurants in the USA. So you naturally pop in a location too. I popped the suburbs of my city in html files at the bottom of my web site and had people calling me because I was their local man. I wasn’t but because I written a html file for each area, AND location was part of their search, they thought they had found the local guy. It was good for sales!